Sochi is a city in Krasnodar Krai, Russia, located on the Black Sea coast near the border between Georgia/Abkhazia and Russia. The Greater Sochi area, which includes territories and localities subordinated to Sochi proper, has a total area of 3,526 square kilometers along the shores of the Black Sea near the Caucasus Mountains. The area of the city proper is 176.77 square kilometers. Being part of the Caucasian Riviera, it is one of the very few places in Russia with a subtropical climate, with warm to hot summers and mild winters. 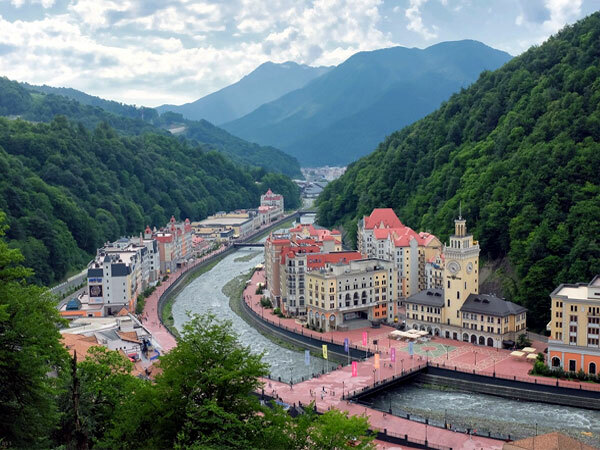 With the alpine and Nordic events held at the nearby ski resort of Roza Khutor in Krasnaya Polyana, Sochi hosted the XXII Olympic Winter Games and XI Paralympic Winter Games in 2014, as well as the Russian Formula 1 Grand Prix from 2014 until at least 2020. It will also be one of the host cities for the 2018 FIFA World Cup. 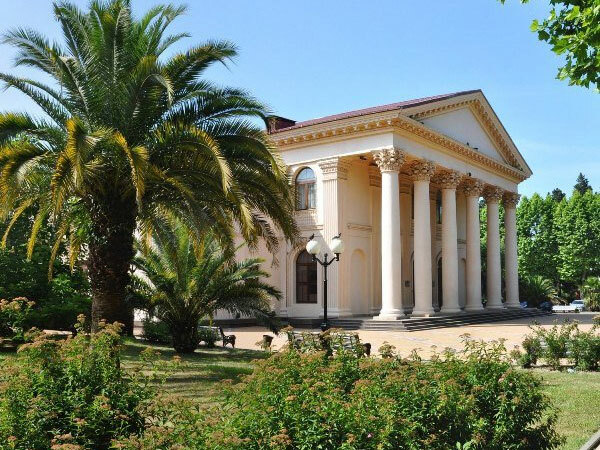 You will have an opportunity to enjoy and compare Sochi’s beauty in the daylight and after the sunset, see its architecture, museums, monuments and palace complexes, admire its fountains. 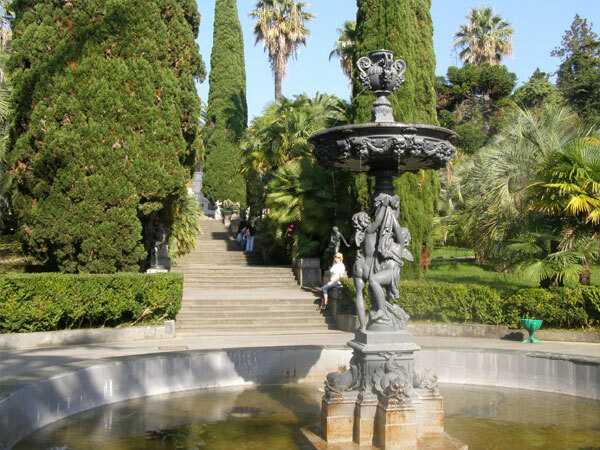 You will have a promenade along the Sea Port Quay and magnificent shady paths in the Reviera Park captivating with sweet melodies played by the symphony or folk orchestras. 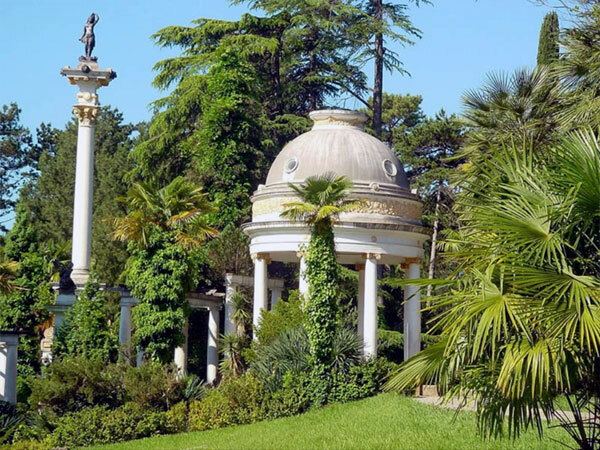 You will be deeply impressed by the monument of the park and garden culture, the world’s largest arboretum – Sochi Dendrarium.The arboretum is proud of its collection of rare plants containing more than 1800 species that have been brought here from all corners of our plane. You will be met by the guide at the airport and transferred to the hotel. Today you have free time to explore the city on your own and have a rest. 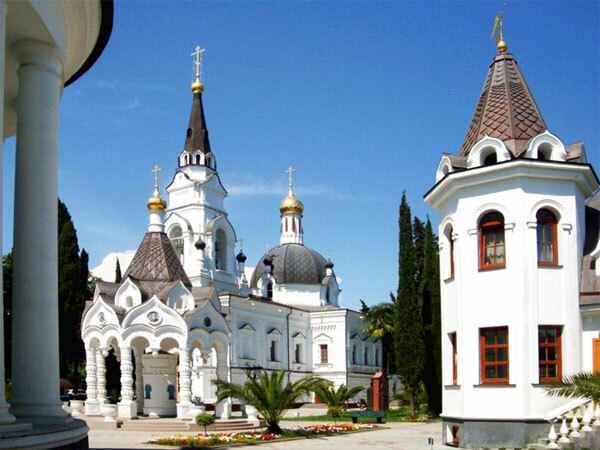 City tour wit visit of Akhun Mountain, Stalin’s Dacha and Dendrarium. The Sochi Arboretum is a unique collection of subtropical flora and fauna. It is a monument of landscape architecture located in the Khosta district of the city of Sochi, Krasnodar Krai, in Russia. It includes 76 species of pine, 80 species of oak, and 24 species of palm. 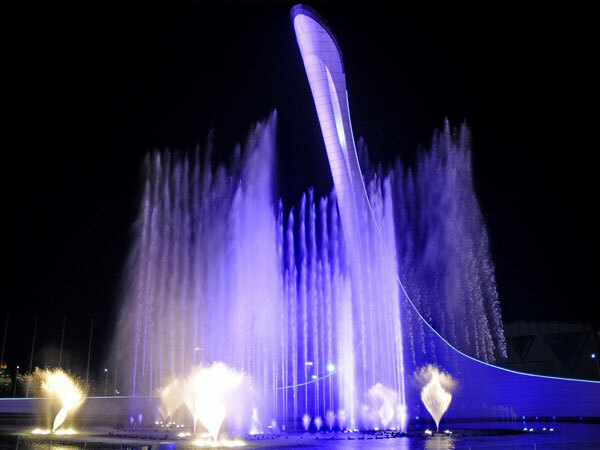 Olympic park is one of the main venues of the winter Olympics 2014 in Sochi. The Olympic park houses the main sports facilities that hosted ice hockey, speed skating, short track, figure skating, curling competitions as well as opening and closing ceremonies of the XXII Winter Olympic Games. The Olympic park is also amazing at night! The night excursion starts with a excursion across Imeretinskaya lowland. 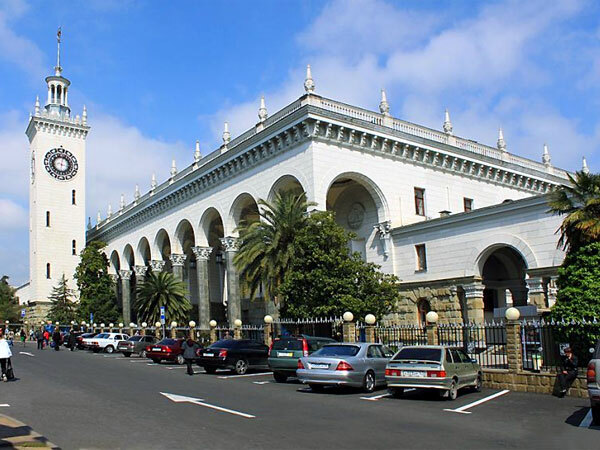 Next, we will take you to the central entrance to the park where you will take electric carts and go to the central square. The excursion takes its place in the very heart of the Olympic park – on the square where Olympic torch was blazing and winning athletes were awarded. 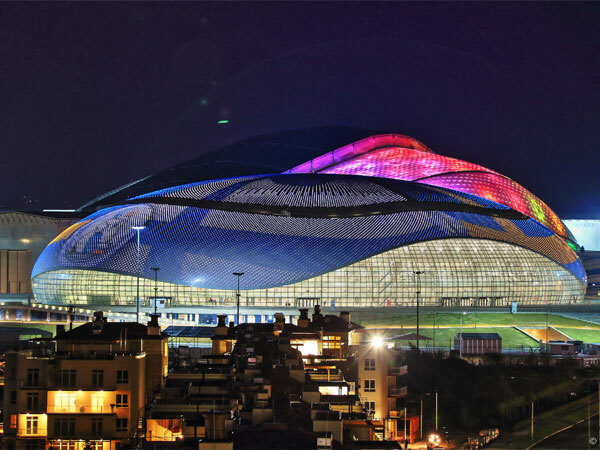 Our guests will be able to see Fisht Olympic stadium that hosted opening and closing of the sport festivity, smaller and greater hockey ice arenas, Adler Arena skating center, Iceberg ice sports palace as well as the curling arena named Ice Cube. The excursion will end with an amazing fountain show with background music. Olympic venues in Sochi are located in two clusters: seaside and mountain. During this excursion, best guides in town will introduce guests to the progress of construction, competitions and news of Olympic victories. Once in Nizhneimeretinskaya Bay in the Seaside cluster, guests will see the Bolshoy Ice Dome, Shayba and Iceberg stadiums, Medal Plaza, Media Center, skating stadium, Fisht stadium and a Hotel Complex Bogatyr designed as a beautiful castle. Next, we will take you to the mountains, Krasnaya Polyana, on the new combined road/railway that was promptly built for the Olympics. Our first stop once in Krasnaya Polyana settlement will be the Bee Garden named “Two Bears”, where you will be able to taste mountain honey from Krasnaya Polyana and learn about benefits of honey. Our guests will also have a chance to buy honey that they liked and taste mead and sbiten (wine with honey). The Mountain cluster comprises four parts – Gornaya Karusel, Alpika Service, Rosa Khutor resorts and Gazprom Mountain Tourist Center. All the resorts erected for the Olympics and recreation of city visitors are situated in Esto-Sadok settlement, 10 minute-drive from Krasnaya Polyana settlement. 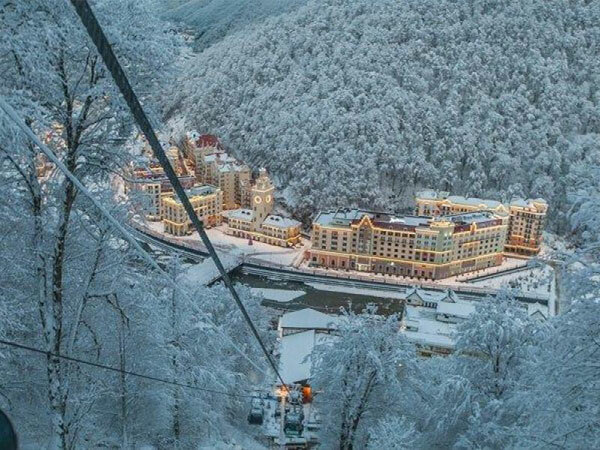 Our destination is Rosa Khutor resort, where our guests will have an opportunity to walk along the picturesque embankment of Mzymta River and go up to a height of more than 2,200 m above sea level by cableway. 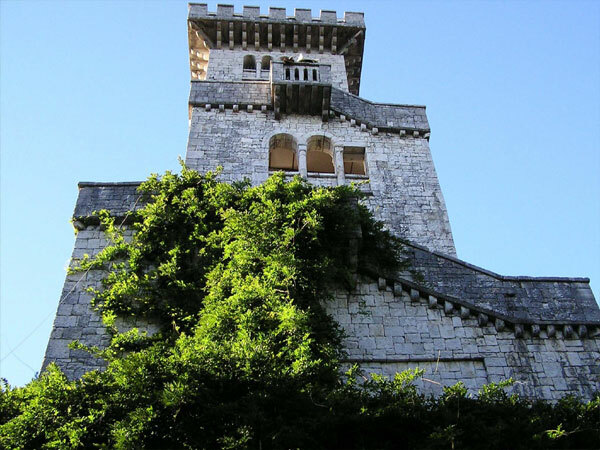 It offers three lines of cableways with a viewing point at each level. 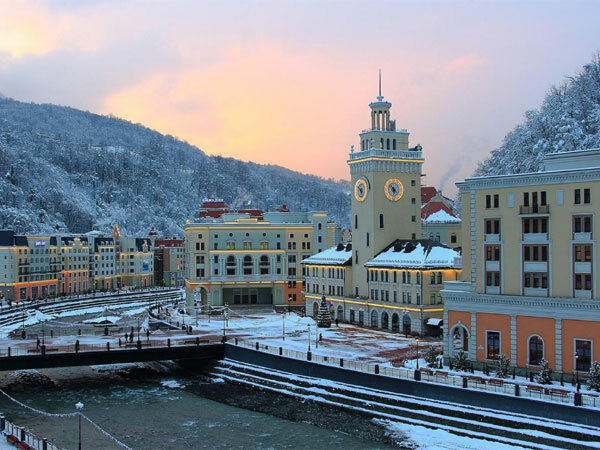 Once you have visited Rosa Khutor alpine resort, you will want to come back. On the eve of the Olympic Games 2014 in Sochi was open cultural and ethnographic center “My Russia”, where athletes and tourists will be able to learn about a variety of folk traditions of our country. The Cultural Center was built on the left bank of the river Mzymty, in its composition will be seven mini-towns built using elements of traditional architecture. Thus, Kuban will present Cossack hut, and the exposition of the Urals is the style of the old brick buildings of the Demidov plant. 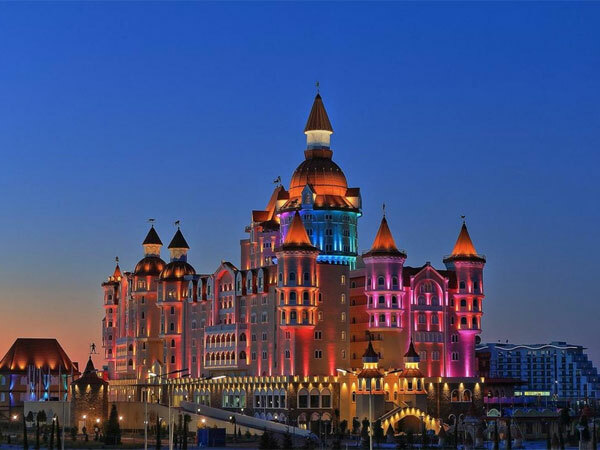 On the territory of the unusual complex, visitors can not only visit the exhibition on the economic and creative achievements regions, but also taste the food and souvenirs. In addition, there will be trade rows - an open gallery in the style of the XVIII century. The pavilion construction will start in autumn, and will be completed before Christmas holidays. 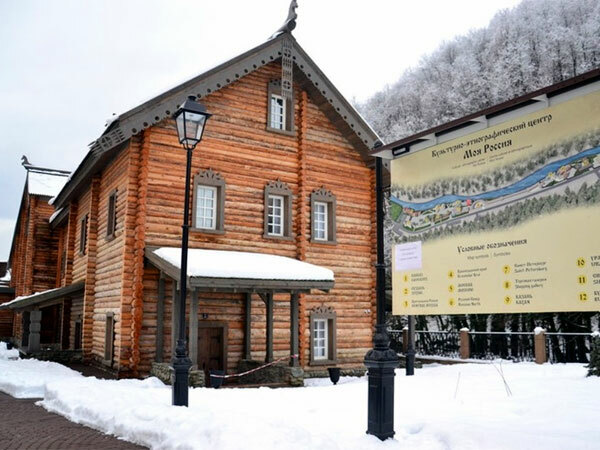 The territory of ethnographic center “My Russia” will be completely pedestrian. Skypark is an adventure park on high! 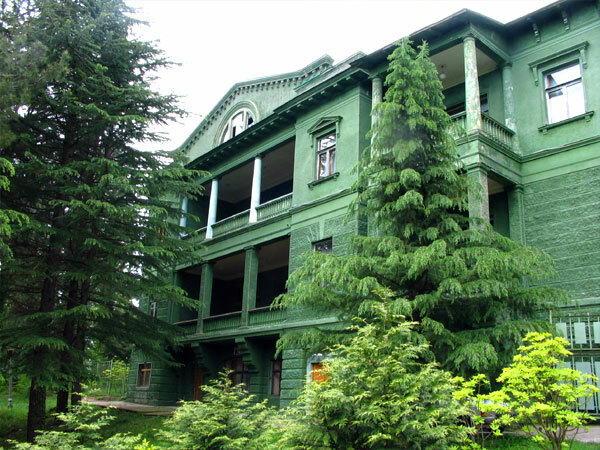 It is situated in a picturesque place of Akhshtyr gorge between Adler and Krasnaya Polyana. Observation sites offer panoramic views to the snow-covered peaks of Caucasus and coast of the Black Sea, including on the Olympic Park. The park is situated in the relic forest where uncommon plants grow such as Colchis boxwood, jasmine and Pontic rhododendron. 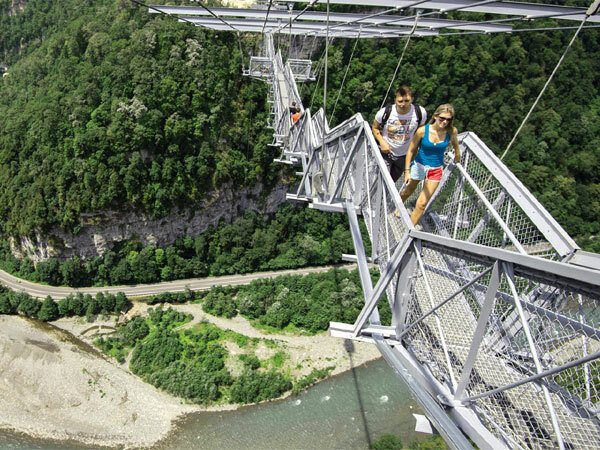 A highlight of the Skypark is world’s longest suspension pedestrian bridge – SKYBRIDGE 439.09 meters long. 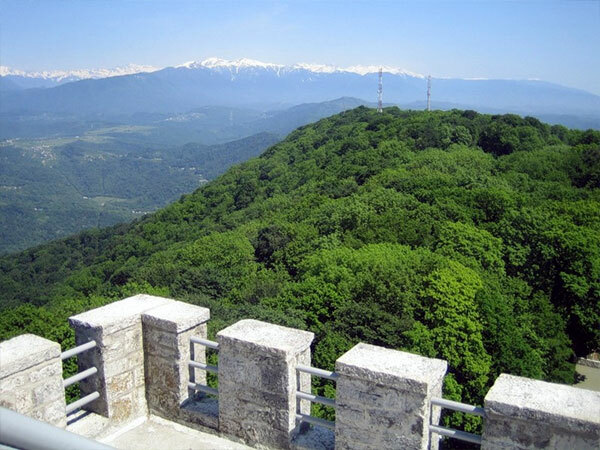 It is situated on a height of 207 meters and anyone can go for an amazing walk with breath-taking panoramic views on Caucasian mountains on the one side and Black Sea coast – on the other one. The adventure park also offers such attractions as trolley (fly across the gorge on a rope), rock-climbing wall, rope park, suspension swing. 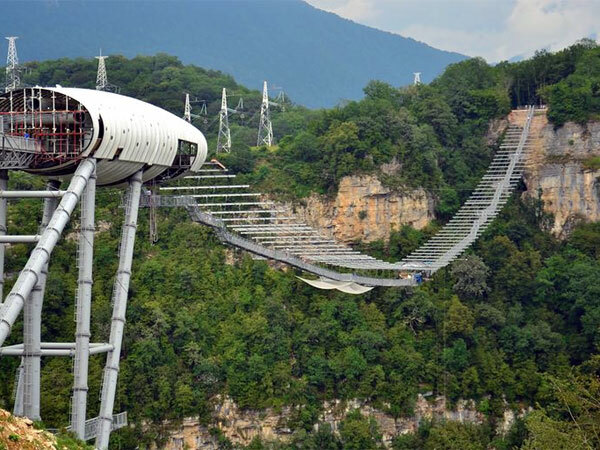 Extreme fans are offered to make exciting jumps from a height of 69 m and 207 m.
Valley of legends “33 waterfalls” is a cultural and historical monument situated in the territory of the national park in Shakhe river valley 4 km from Bolshoy Kichmay settlement, Sochi. During the excursion, you will be able to enjoy the primeval beauty of nature and authentic Caucasian hospitality, visit an outdoor ethnographic museum that showcases elements of everyday life of the Adygeis, Shapsugs and other peoples that inhabit the Black Sea coast of the Caucasus. You will also be able to visit a picturesque Adygei show, from which you will learn a lot about traditions of Caucasian tableful, taste national drinks and food, enjoy Adygei national dances (sword dance, drum dance) and take part in them. Mountain river rafting is a memorable experience for people who love adventure holidays. 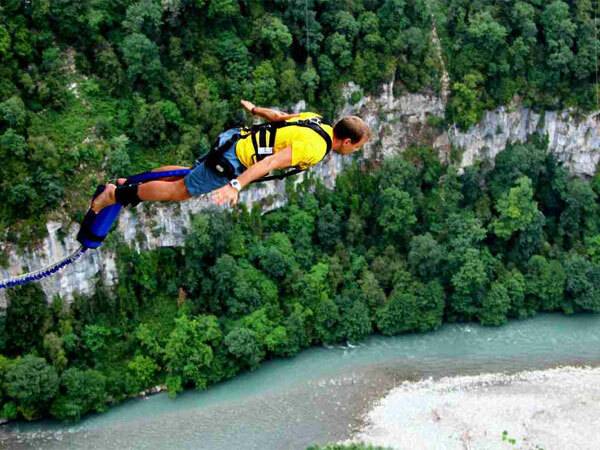 It is very exciting adventure that will charge you with the positive emotions give a unique sense of the fullness of life and fill your body with adrenaline. Guided by experienced instructors you will raft in eight-person boats or ten-person rafts down a turbulent mountain river. Along the way you will be accompanied by the stunning wildlife beauty,, sheer cliffs, impenetrable forests, breathtaking rapids, the noise of the river and cool splashes of the crystal Mzymta river. After the extreme rafting you can have the Russian baths and relax on the river bank.